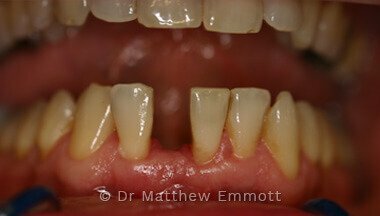 If you have lost multiple teeth, you may be wearing a denture or partial denture. 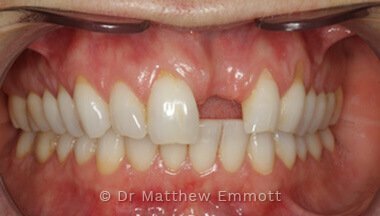 This can be a real burden, causing embarrassment, discomfort and generally having a real negative impact on your quality of life. 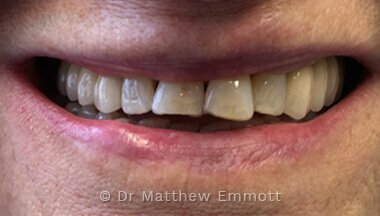 Did you know you don't have to eat soft foods or wear dentures for the rest of your life? 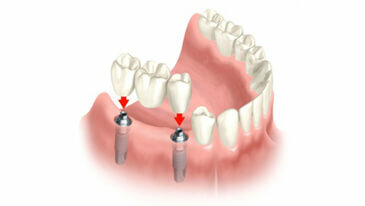 Dental Implants are a viable and clinically proven alternative to missing teeth. 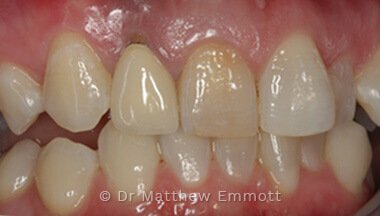 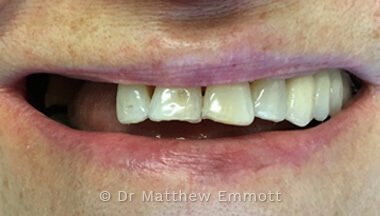 Case Study: A patient who had previously had three teeth removed in row. 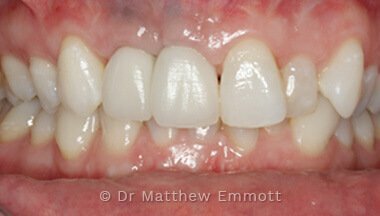 Following a clinical assessment the patient was rehabilitated with a three tooth bridge fixed to two dental implants. 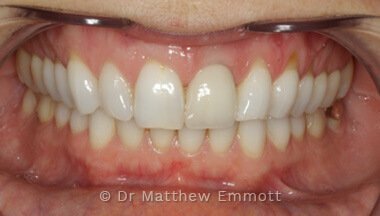 The patient had good bone quality throughout the missing teeth regions and bone augmentation was not required. 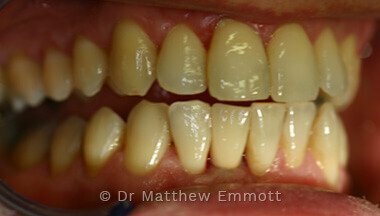 The treatment was completed in four appointments over a 16 week period, paying a complete fee of £4850.00 This fee included clinical assessment of £110.00 which was refunded on completion of the treatment, all implant components, surgery and the final bridge. 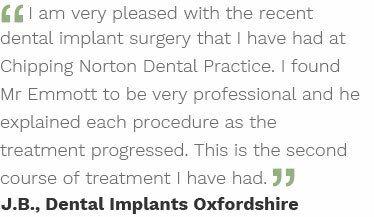 Speak to our dentist about getting dental implants in Oxfordshire at our dedicated practice.